An expert in management takes on the conventional wisdom about disruption, looking at companies that proved resilient and offering managers tools for survival. “Disruption” is a business buzzword that has gotten out of control. Today everything and everyone seem to be characterized as disruptive—or, if they aren't disruptive yet, it's only a matter of time before they become so. In this book, Joshua Gans cuts through the chatter to focus on disruption in its initial use as a business term, identifying new ways to understand it and suggesting new tools to manage it. 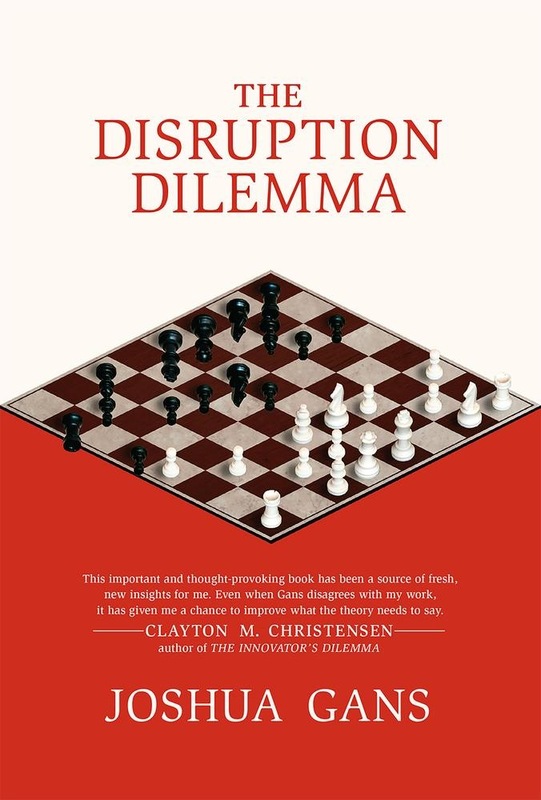 Almost twenty years ago Clayton Christensen popularized the term in his book The Innovator's Dilemma, writing of disruption as a set of risks that established firms face. Since then, few have closely examined his account. Gans does so in this book. He looks at companies that have proven resilient and those that have fallen, and explains why some companies have successfully managed disruption—Fujifilm and Canon, for example—and why some like Blockbuster and Encyclopedia Britannica have not. Departing from the conventional wisdom, Gans identifies two kinds of disruption: demand-side, when successful firms focus on their main customers and underestimate market entrants with innovations that target niche demands; and supply-side, when firms focused on developing existing competencies become incapable of developing new ones. Gans describes the full range of actions business leaders can take to deal with each type of disruption, from “self-disrupting” independent internal units to tightly integrated product development. But therein lies the disruption dilemma: A firm cannot practice both independence and integration at once. Gans shows business leaders how to choose their strategy so their firms can deal with disruption while continuing to innovate. 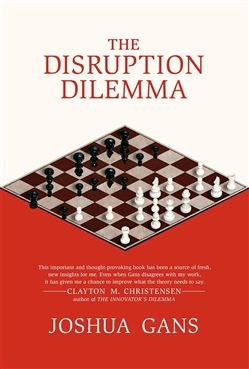 Acquista The Disruption Dilemma in Epub: dopo aver letto l’ebook The Disruption Dilemma di Joshua Gans ti invitiamo a lasciarci una Recensione qui sotto: sarà utile agli utenti che non abbiano ancora letto questo libro e che vogliano avere delle opinioni altrui. L’opinione su di un libro è molto soggettiva e per questo leggere eventuali recensioni negative non ci dovrà frenare dall’acquisto, anzi dovrà spingerci ad acquistare il libro in fretta per poter dire la nostra ed eventualmente smentire quanto commentato da altri, contribuendo ad arricchire più possibile i commenti e dare sempre più spunti di confronto al pubblico online.